The DB1500 is perfect for everything from small jobs to a much larger industrial projects. It is the BEST CHOICE for commercial use by employees. 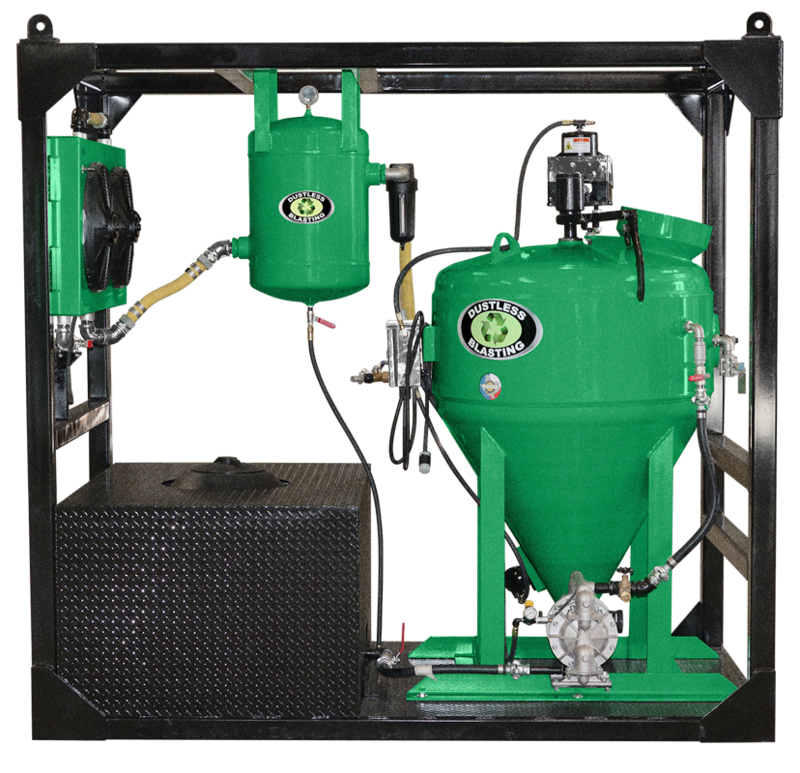 It holds up to 75 gallons of water and 750 lbs of abrasive, which allows up to 2–3 hours of continuous blast time. Its higher capacity means fewer refills for greater productivity. This machine typically uses a 375 CFM or larger compressor. Learn more about why Dustless Blasting is the best tool for the offshore industry. Complete the form below to instantly view our complete equipment price list.